Ouch! I guess that answers my question. Too bad they didn't recreate it in vinyl. Keep up the good work, jupiter! Glenn, is the TOTS version somewhat small? I can wear my Skull--but just. Granted, I have a Bullwinkle-sized head (I literally take a 7 1/2 hat!). I have a size 7 1/2 hat size too so it would be too small for me to wear. Even when I was stuffing it I had to be careful about the slit because the opening is small. Never really considered that issue since I only use it for display. There was a post on Amazon regarding this mask asking how long the slit is supposed to be. I told them about the "keyhole" at the end of the slit so if the slit goes beyond the keyhole you know it's been torn. They replied and said thanks for the info and confirmed that theirs had been torn beyond that point. So along with Kidagain's comment it sounds like this is an issue. I had a Batman cowl about 20 years ago that also ripped beyond its intended slit. 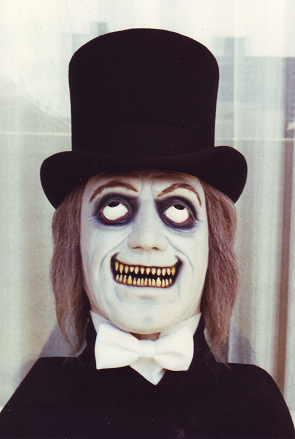 It was a pretty good mask, too -- the back had a velcro closure. I did keep it long after it ripped, but never wore it again for fear of an even bigger rip. get a copy until ten years later. Beautiful pieces, 'huna, Nosferatu being my favorite of the two. Congrats on another great vid, jupiter! Great choice of subject matter. It is kind of disappointing to hear about the size though. I have a fairly big head AND thick hair, so I definitely need masks to be on the roomy side. 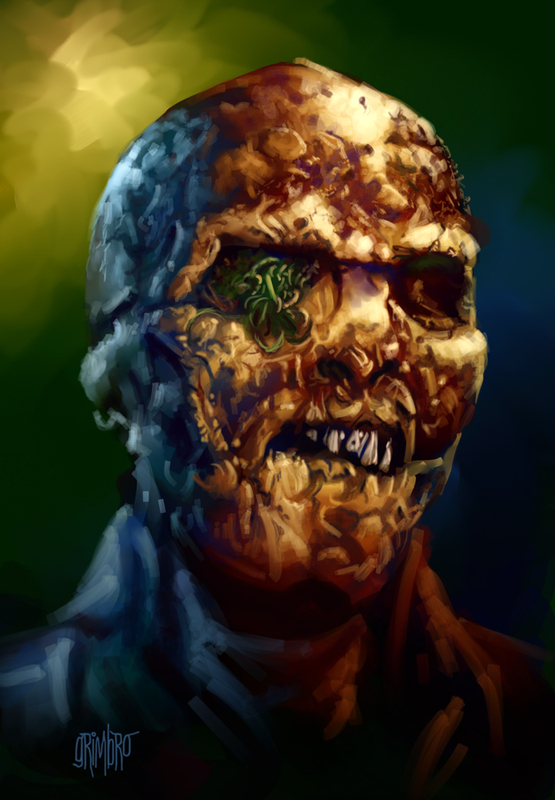 Huna, those are two fantastic examples of maskery! 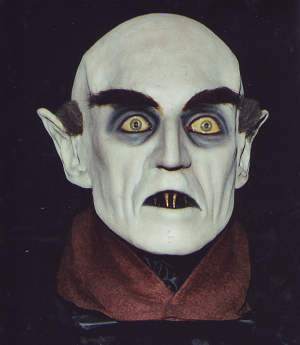 I'm especially liking that Count Orlok mask. Then again, he's my favorite classic monster, so I'm a bit biased. 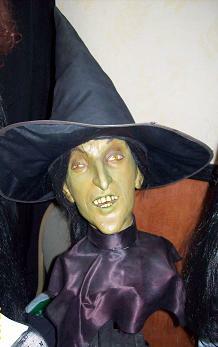 2012 Don Post Studios "Halloween III Witch"
Another fine review, jupiter! But you're right, that paint leaves a lot to be desired. All-green would've worked so much better. your reviews always help make these masks more appealing, j2. 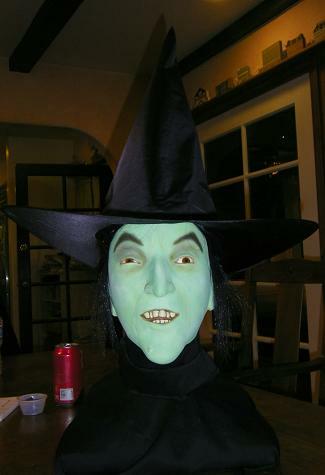 Thanks Maskahuna - Love that Wizard of Oz Witch. Yes - as of today the thread has over 12,000 views and 400 replies! And (not to jinx us), the HMA is still going strong on quite a bit of borrowed time. Let's hope it just keeps going! 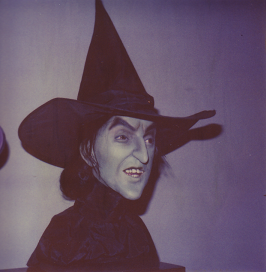 Love that Margaret Hamilton set-up!